I never have a boyfriend before I got married. So the most memorable relationship for me is what I have with Mr. Wicak, the one who have become my husband for more than 3 years :D.
One of many things that I still remember is how he proposed me on January 2012. Mihihihi. *ini kyknya bakalan jadi curcol -__-“* He with his family went from Bandung to Lampung and arrived in my home in the afternoon. I remember how our family made a long enough conversation about us and how he stole a glance to me who sat in a “separated” room. It was not totally separated, there was a door without it’s leaf between those room, hehe. Maybe he just made sure that my face didn’t change to a monster or so :v or to make sure the house he entered was right :p. From this sentence you knew that I also stole a glance because I also had to make sure that man was same with the one who told me would propose me :p *bahasanya ribet ya bok*. After 1-2 hours, and my family accepted his proposal (alhamdulillah ya.. :p), then he and his family went home. Complicated is a situation makes me a headache, difficult to decide what I want, and sometimes drive me to do nothing but being lazy :D.
I am 25 years old now but I will confess to you that I love cartoon, anime, or whatever you call it. Almost addicted. Lucky me, I don’t have many access to comic rental right now and I am too stingy to buy comic. So I just read or watch it online. I prefer read it on mangahere.co :D. I read a lot of comics since I was in elementary school. Let’s say: Miko, Sinchan, Donald Duck, Mickey Mouse and their friends, and I found comic in Indonesian magazines such as Nirmala & Oki in Bobo Magazine *CMIWW*. Yes, I love them. 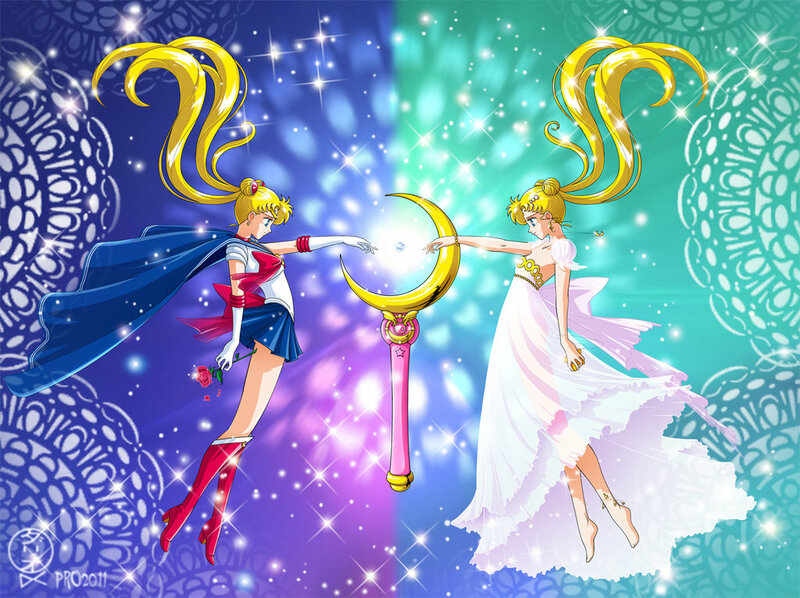 I also watched many cartoon in TV such as Sailor Moon, Wedding Peach, Sakura Card Captor, and etc =)). 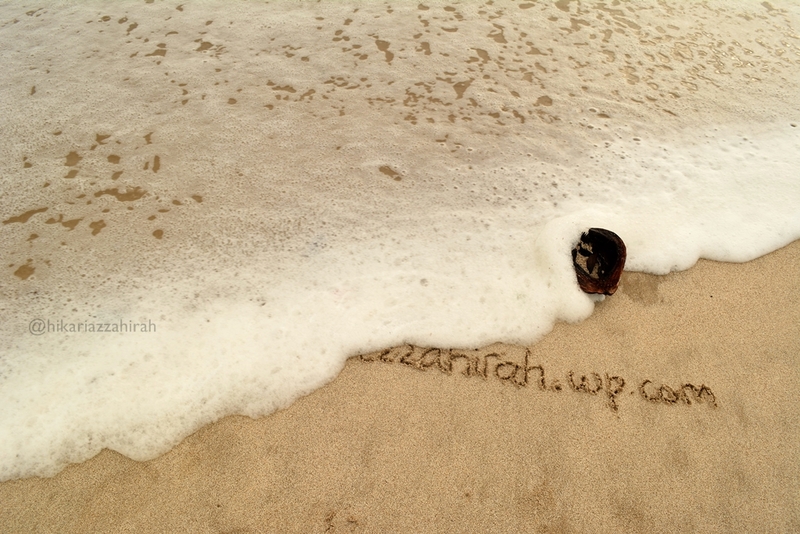 Oh my God, when I write it, it reminds me about my childhood memories. It was so fun and more interesting than childhood nowadays. That’s one of big questions every week I have to answer in my weekly “halaqoh” =v. And sadly, I have to uncheck that kind of activity *my bad*. Talking about sport, I have to be honest to my self and say “I never do any sport after I’ve climbed Mahameru in November 2014”. The main reason is we’re too lazy to move our body. Even though, i sometimes persuade my husband to exercise… but when he refuses because of certain reason, i couldn’t force him. 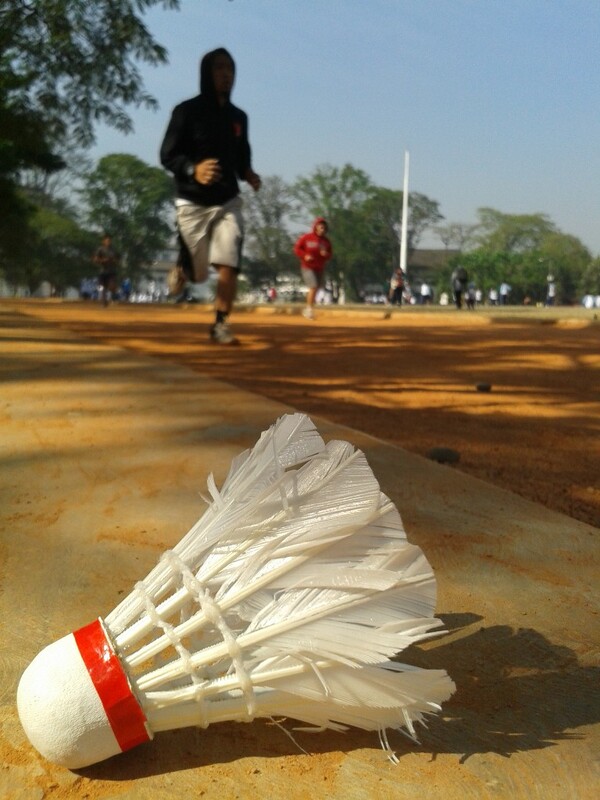 And, i end up not doing anything :p.
Somehow, I do have a favourite sport :D. It’s …. 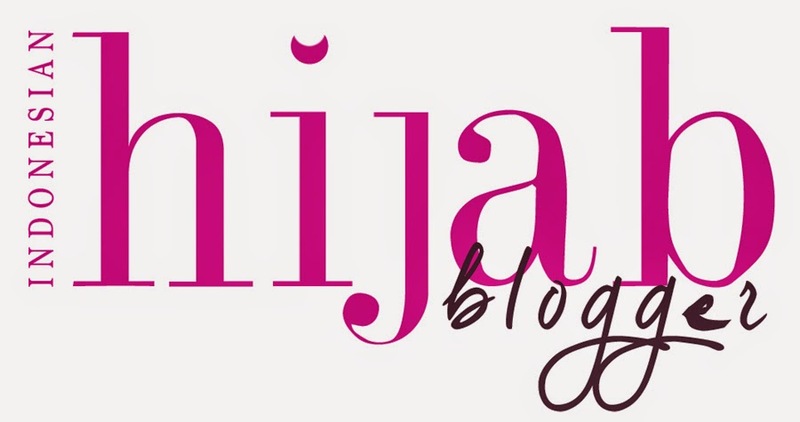 *drum rolls* …. Running from the truth. LoL. This is why I love running: Simple. You just have to run. You don’t have to do dribble a ball, slide a ball from member of your opposite team, etc. There is no complex rules. Just run, dude…! You also can wear you long skirt when you run. Yey! The only preparation you must do is warming up. Haha. Based on Wikipedia.org, An alter ego (Latin, “the other I” or “demonic self” ) is a second self, which is believed to be distinct from a person’s normal or original personality. I am not sure I have an alter ego or not. But I DO realize that I have a different behavior and attitude in a different situation. Most of people know me as a cheerful and humorous person. Yes, I am. And I called her Ncuss. But she just appears in front of people I know so well. If you just meet me once, you might never find her in me. Ncuss is a girl who does not seem to depend on others, even her husband. EF #3 How Gadgets Affect Your Life? 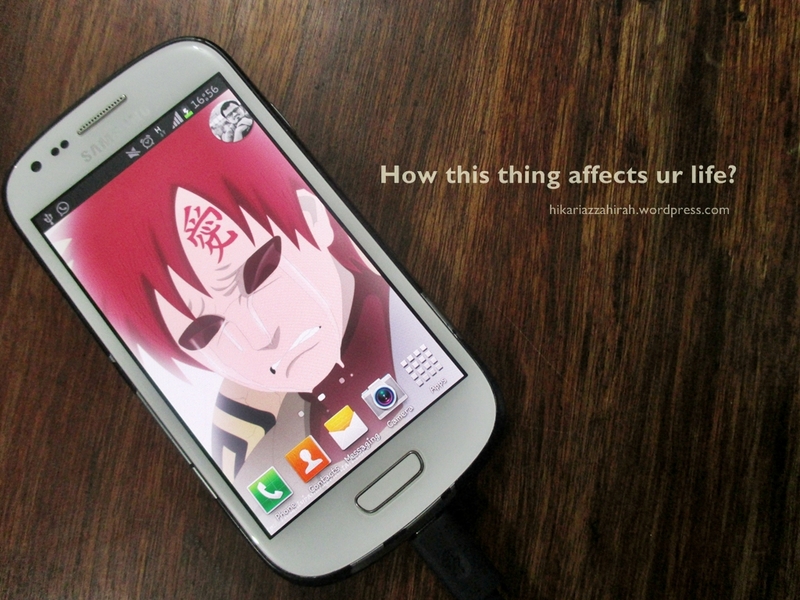 Gaara on my phone’s screen. kyaaa…. i still remember the first time i met a gadget, a handphone to be exact. it’s when i was a student in junior high school. if i’m not mistaken, i was in 2nd grade. hehe. at that time, my classmate brought a small red thing to the class and when we had a break in the noon, she played it in front of our room. i was very curious what thing she played and so were my other friends. somehow, we surrounded her and asked everything about it. then we took turns using that thing which called a handphone. hehe. i finally got my very first handphone when i was in university, in 2nd year. it was sony ericsson, walkman edition, and orange! haha. i was very happy that time. “look at me, i have a handphone!” maybe i would scream that sentence to the world if i could not control my self :)). Well, i used it until i graduated from my university and got my first job. then i changed it to Samsung Galaxy Mini and it lasted for 1.5 years. i knew everything about twitter, whatsapp, and other apps because of it :D. maybe at that time it was too late to know about it, wkwkwk. and now, i have a Samsung Galaxy III Mini and don’t have any desire to have another ones.